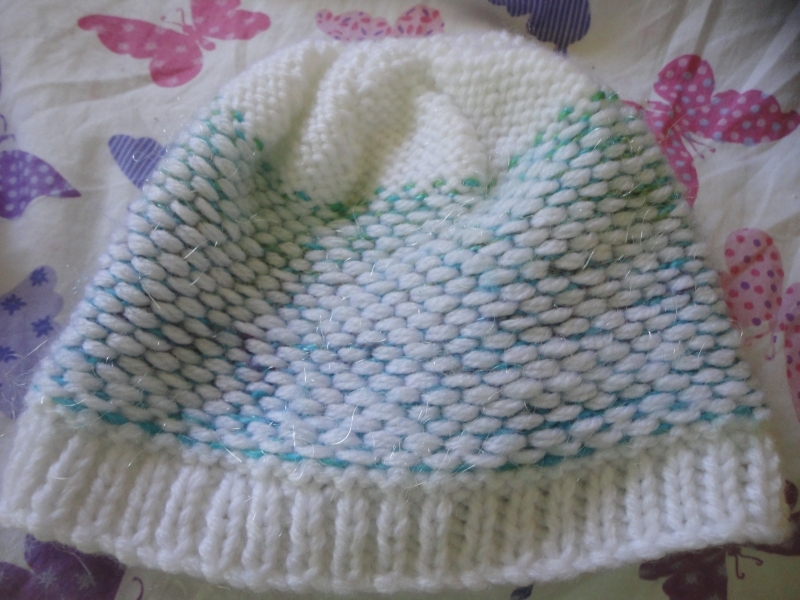 Another hat came off the needles recently. It’s a little bit big on Big Dolly (she had a name when she was mine, but Gorgeous Girl doesn’t name her toys but rather gives them all descriptions). It should fit a pre-teen boy. 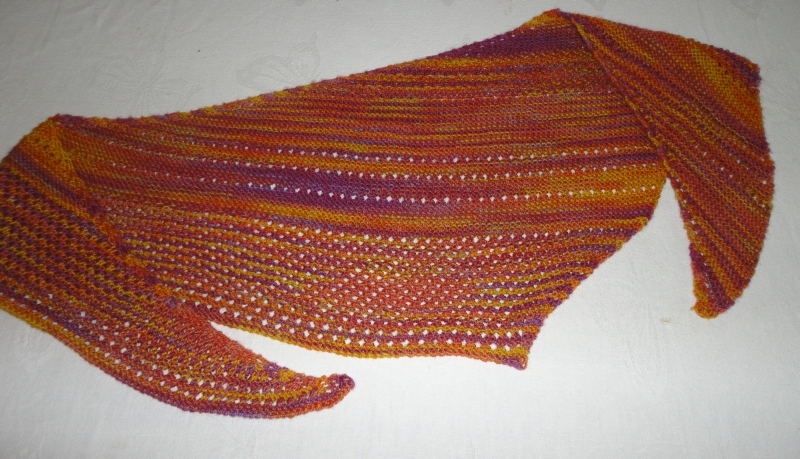 It’s another charity knit. I love the top of this hat. 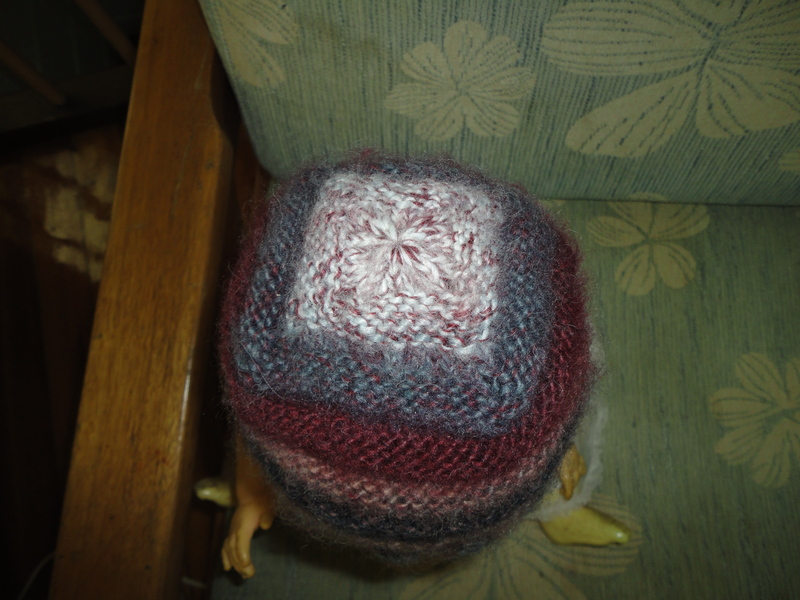 I’ve been on a bit of a hat knitting kick lately. There are another two hats waiting to be photographed. On the needles at the moment is a handspun lace shawl. It’s a busy time of the semester with student assessment due and exams needing to be written (they are all done, but student assessment still needs marking) so I’m only managing a few rows here and there at the moment. 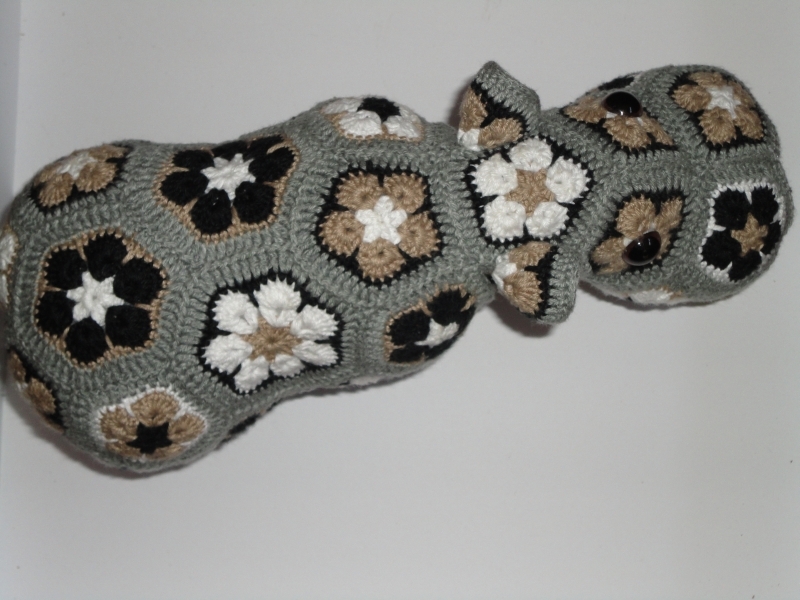 Last year the wonderful Sam sent me a pattern (Antartkis). 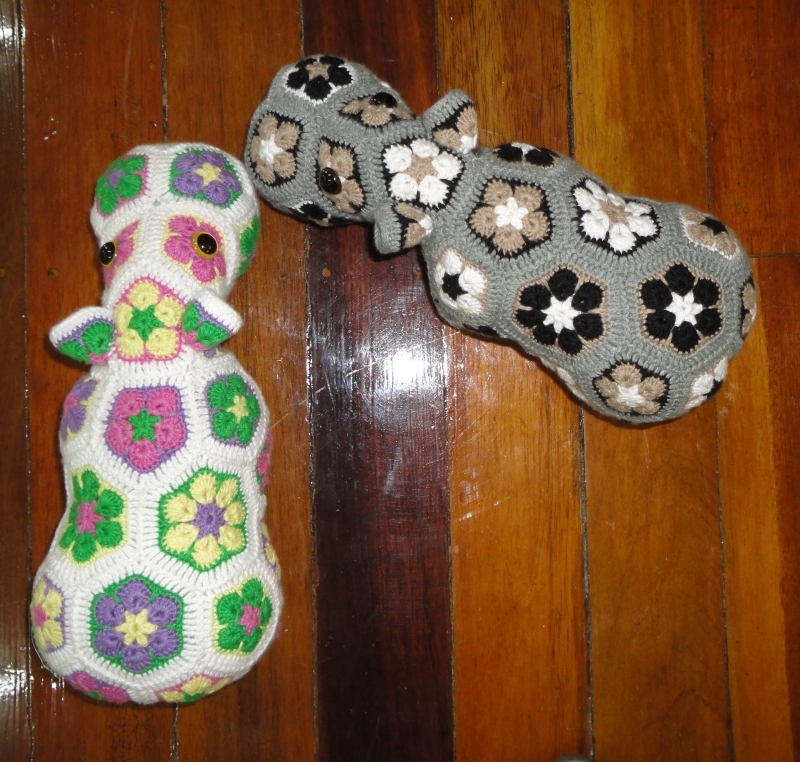 I gleefully chose yarn and packed it into my bag for our trip to Australia where I got sidetracked by a gaggle of hippos. 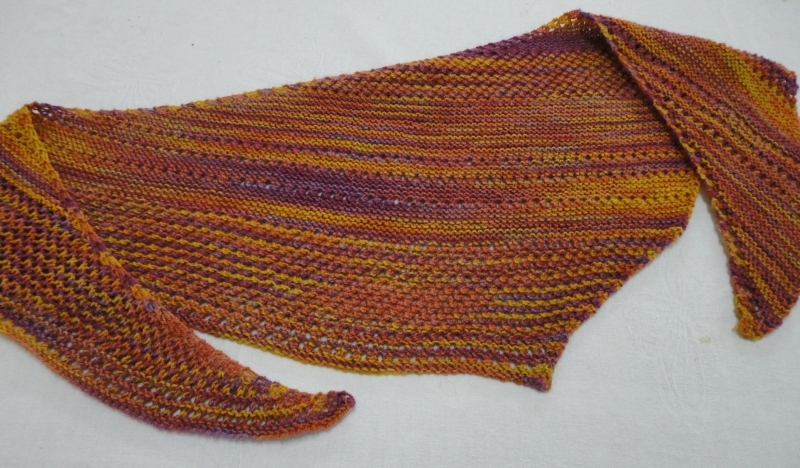 Recently the shawl made it off the needles. It’s pretty small. I used bigger needles than called for since my yarn was a little thicker, but I did have to miss some repeats because I was running out of yarn. I’ve been hoarding this yarn for a while and I’m really pleased with how it has knitted up. I love the way it has turned out. 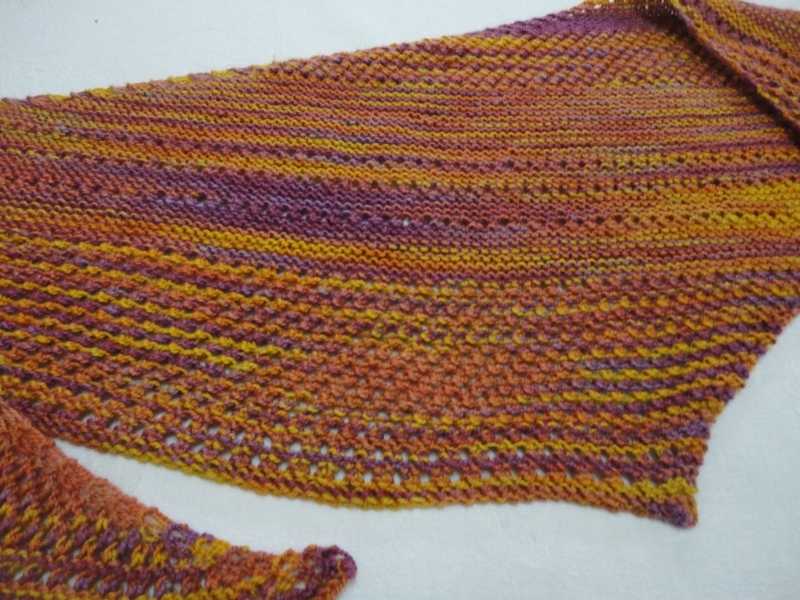 It does need to be blocked, but I kind of like it as a shawlette size to tuck into an overcoat. Gorgeous Girl likes it to. She is insisting that we share it. The really awesome news is that we’ll actually have a place to wear it and that I’m going to get to meet Sam in person at the beginning of next year. I’ve had a paper accepted at a conference in the United States and we are going to go over a little bit early so that Gorgeous Girl can see snow and we can all have a white Christmas. We’ll be visiting two states and I have blogging friends that I’m going to meet up with in both of them. I love how the blog has made my world a smaller place. So we moved house. Just up the road to a new house in the same neighbourhood. We still don’t have the TV or internet connected and I’m spending a lot of time unpacking. But I have also been quietly playing with yarn in the few spare moments when it’s simply too hot to keep unpacking or my feet are screaming for me to take a break. 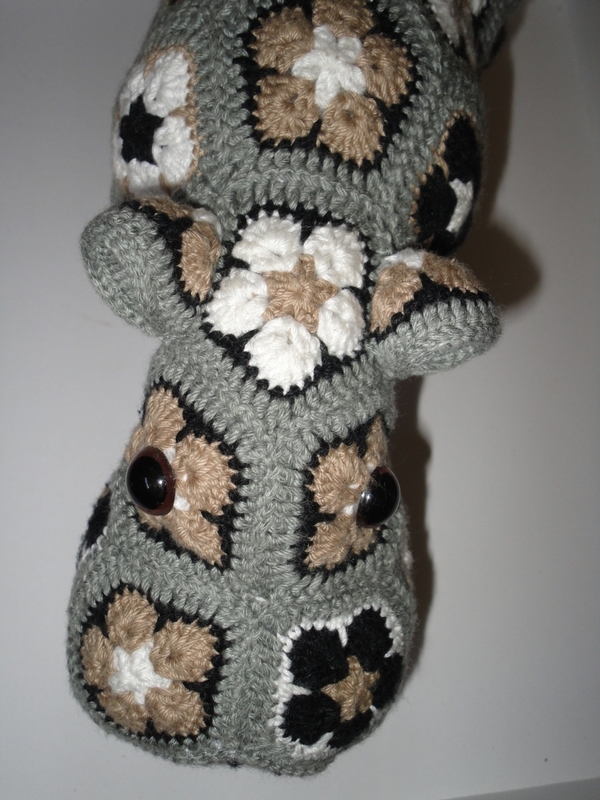 Behold the last hippo for a while. I taught myself to knit two colours holding the yarn in each hand recently. This is the result. The band is a twisted rib. 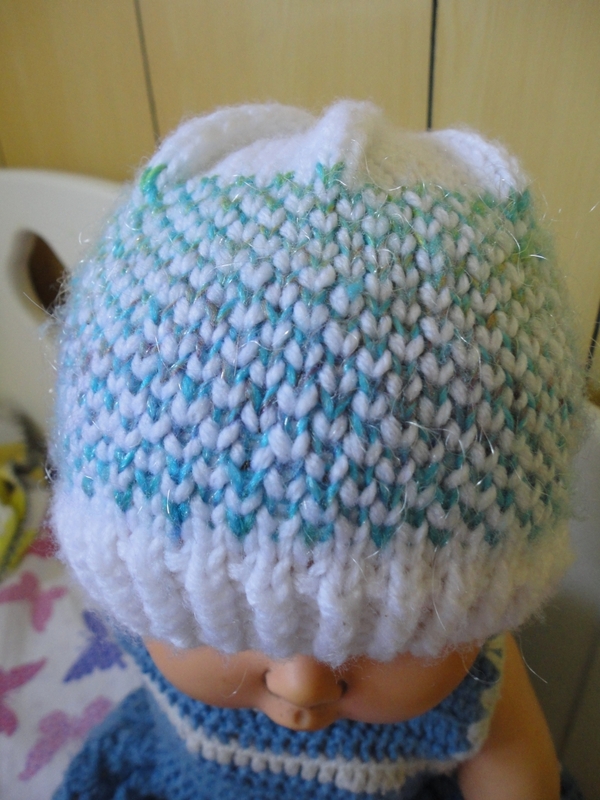 This hat also used up all of the coloured yarn out of my stash. I’m trying to use up the odds and ends this year. 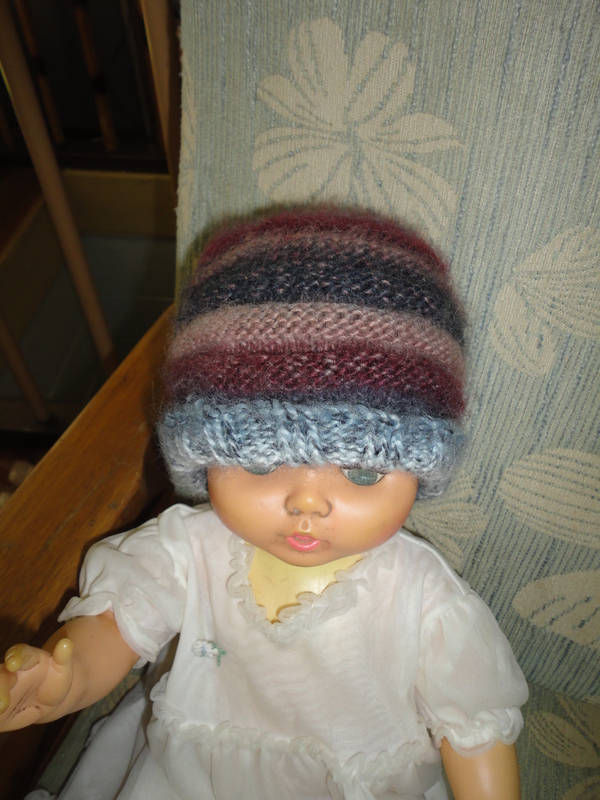 This little hat will go to a friend of mine and will be given to a child in the foster care system.